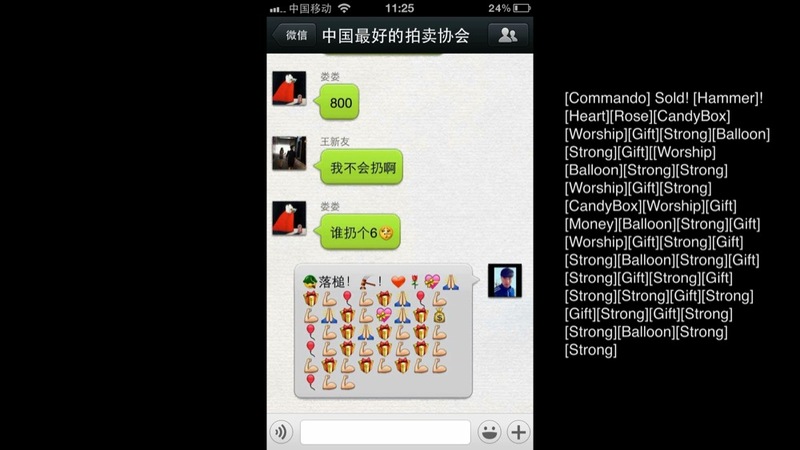 A documentation of a performance where the artist put her body up for auction online. 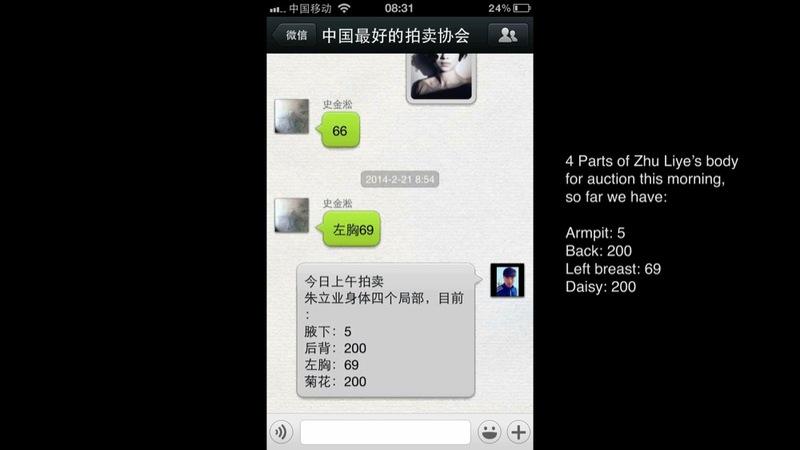 Buyers could bid on any part of her body in A4 size, the artist then scanned the respective part and provided a print. 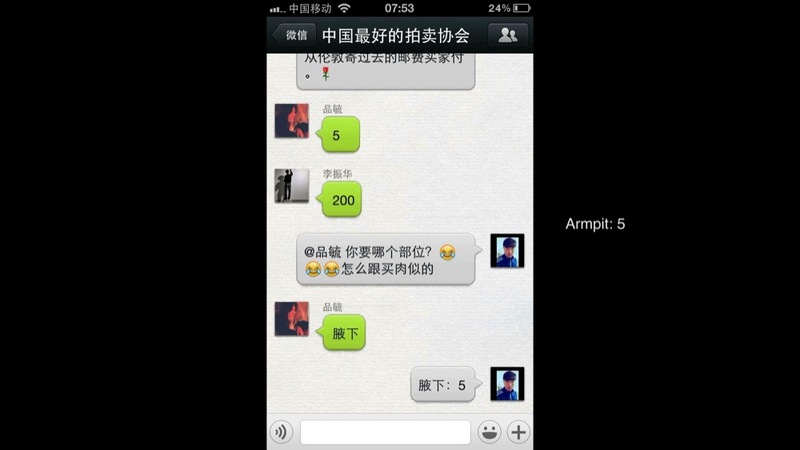 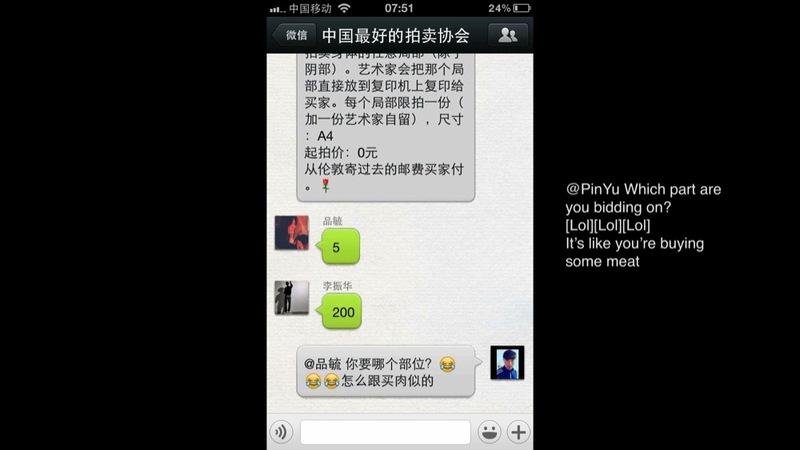 The auction happened entirely on the smartphone messaging app, WeChat. 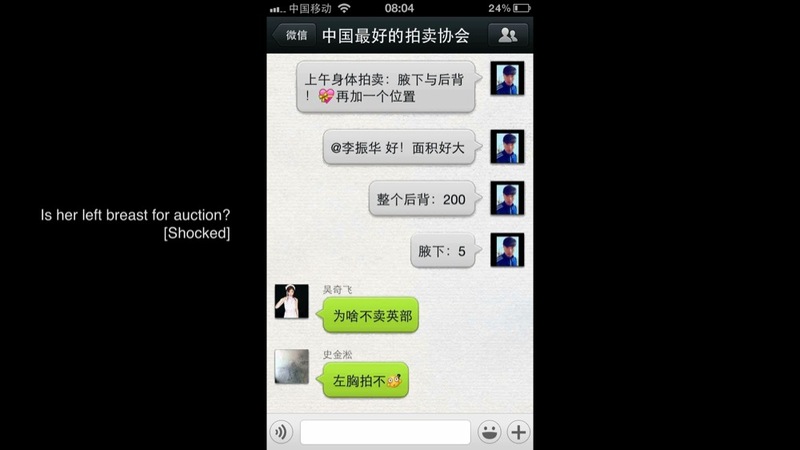 The video is a reconstruction of the event, using screenshots of the actual online conversation during the auction.